YouTube.com is the biggest online video platform of all. People use it from time to time; even in some YouTube-restricted area, its name is well known. You can find all types of video on YouTube: movies, music videos, TV series, news, games, funny clips from YouTubers and whatnot. Sadly, YouTube does not provide a “download” button for its users because it wants you to stay on their website for as long as you can instead of watching offline video. YouTube downloader for Mac is the kind of software you need to download YouTube video on Your Mac OS to playback or transfer to other devices. 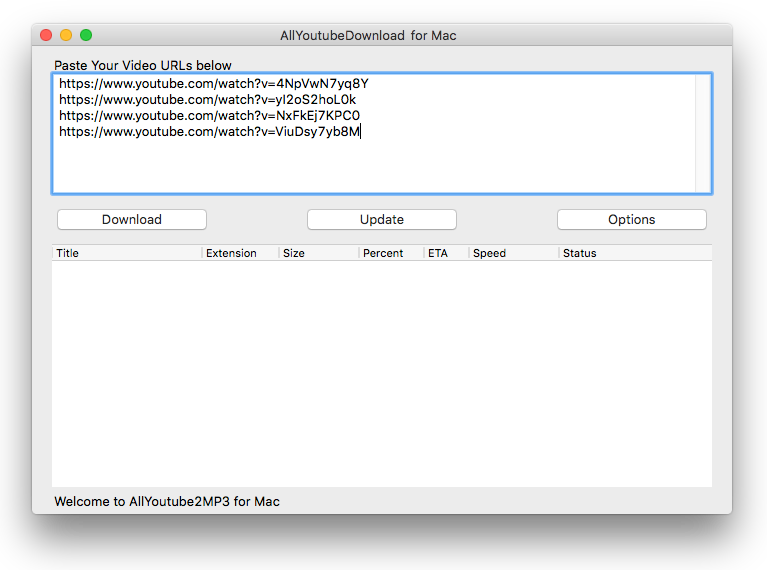 AllYoutubeDownload for Mac is a free YouTube downloader software for Mac. You can copy and paste one or multiple URLs at one time to the program to download videos. 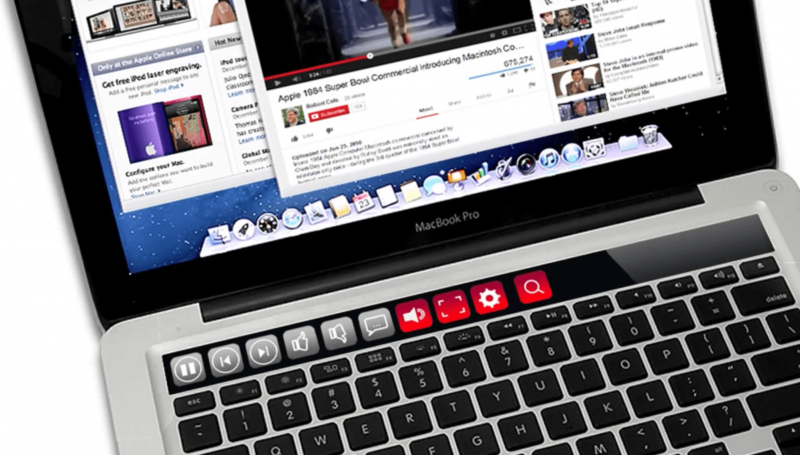 AllYoutubeDownload for Mac is completely Freeware with no limit and it costs nothing. 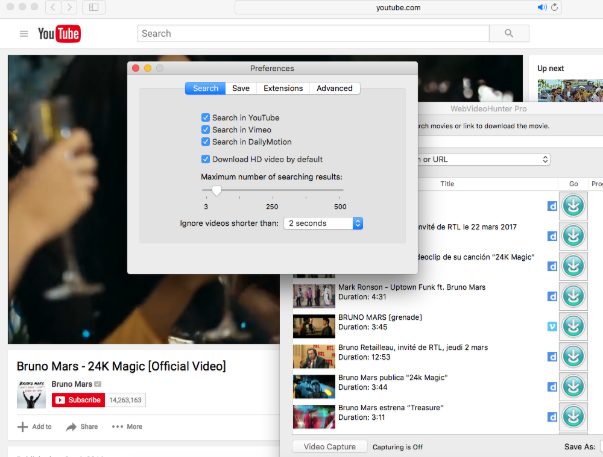 Find out how to download YouTube video on Mac & convert YouTube to other formats. 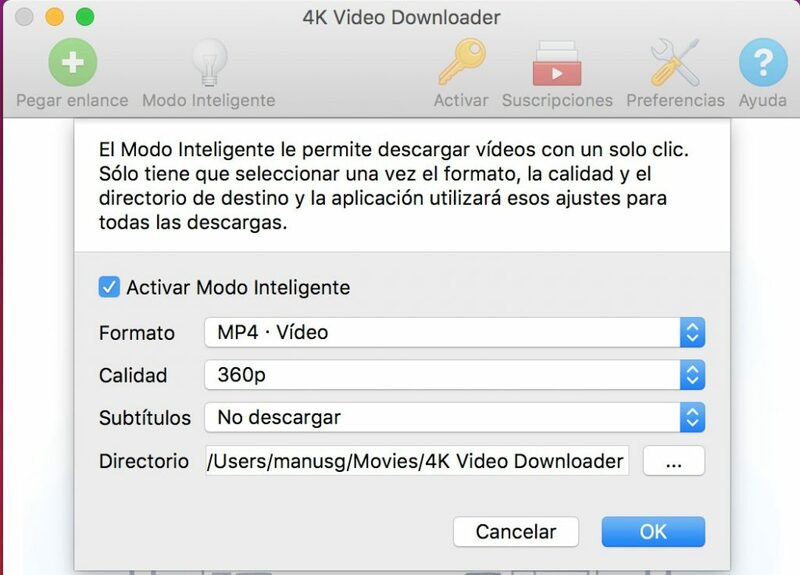 4K YouTube Downloader for MAC is a cross-format application that can be used to download YouTube video on Mac, Windows or Linux. It is known for its ease of use. Its neat and straight UI comes without any unnecessary bells and whistles; thus you can effortlessly download video from YouTube, DailyMotion, Vimeo, Tumblr and some other sites. It can download the video that is created with 360-degree cameras. You can set up proxy servers for the video blocked in your region. It also allows you to transfer video to iTunes library. A “Smart Mode” is provided to remember your preferable settings to make next download faster. However, the formats supported by this video downloader are limited so you may want to reconsider if it can meet your needs. YTD for Mac is another great YouTube downloader for Mac. It is a straightforward application that works like many other YouTube downloaders. It may not be your first choice if you prefer software that comes with a stack of features, but it definitely does what it should well. It is a program focusing on downloading and converting video. It supports many online video sites other than YouTube and the download speed is incredible. It can batch download and convert video. To download & convert at the same time, you need to purchase the Pro version, which is $2.99/month & $35.88/year. ClipGrab YouTube Downloader for MAC is able to grab video from several sites including YouTube, Video, DailyMotion, Facebook and maybe some other unlisted websites. The UI is very easy and you can download the original FLV or MP4 provided on the website or convert the downloaded video to MPEG4, MP3, OGG Vorbis/Theora & WMV. It can download 4K & 8K video and the speed is decent. You can also search videos through the UI (only works for YouTube). It provides two versions for Mac OS: the default version is for macOS 10.10 (Yosemite) & newer systems while the legacy version is designed for older ones, including 32-bit & PPC processors. 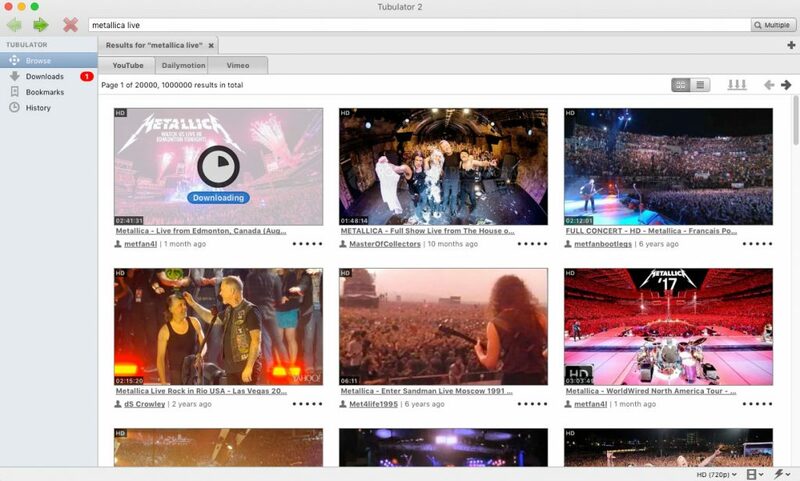 WebVideoHunter (former YouTubeHunter) is another YouTube downloader that allows you to search YouTube video through the interface. You can even preview the video in the app. For those who want to keep subtitles (e.g., language learners), its ability to keep the YouTube & DailyMotion video subtitles is truly a highlight. It provides a multi-language UI (English/French/Italian/Spanish/Japanese). It is not freeware though. It provides 3 versions: $ 9.99 for LITE, $14.99 for FULL & $19.99 for PRO. Aimersoft’s Free YouTube Downloader for Mac provides 3 ways to download video from YouTube: 1. like what you do using other software, paste the video link to let the downloader fetch the video; 2. drag the URL from address bar to the downloader UI; 3. at the top of the YouTube video you want to download, you can see a “Download Pane” where you can open a drop-down menu to choose the video quality and format. It provides auto-shutdown when the downloading tasks are finished. According to its official site, it supports “10,000+” sites but I personally doubt that if it can download without any failure from all the sites on its list; even if it can, will it be possible to keep it that way all the time? Because you know, all video sites are changing themselves from time to time. The free version is limited and if you need some extra features, you need to buy a premium version. I haven’t got time to try all the sites so if you want to download video from specific sites, use a free version first to try before jumping into purchase. A lifetime license costs you $29.00/PC. iTubeDownloader for Mac is a YouTube downloader that can simultaneously download multiple videos. You can download only audio. Like WebVideoHunter, it can automatically add YouTube subtitles to the download video. The downloaded video can be auto-transferred to iTunes, making it easier to get them onto your iPhone & iPad. You can install a browser extension to your default web browser for faster access to iTube. A lifetime license for up to 10 Macs will cost you $8.99, which is a great deal compared to other payware. MacX YouTube Downloader can download video from over 300 video sites including YouTube, DailyMotion, Vimeo, Vevo, SoundCloud, etc. It allows you to download high-resolution videos. You can bulk download YouTube videos. The video downloading steps are typical, started from copying and pasting the URLs. However, the free version does not provide video conversion ability. You need to buy a Pro version for $39.95 if you need further conversion instead of using the original downloaded video. The Pro version also provides the abilities to exports downloaded/converted video to iPhone & Android, edit video, record video from your screen or a webcam, compress video and rip DVD-video, etc. Airy is not freeware, but if you can live with adding one URL and downloading one video at a time, then it’s OK to use, for free. You can download MP3 from YouTube and integrate it into your browser. Then subtitle download is supported. It is a very essential tool that focuses on downloading videos instead of other related features. One of its highlights is that it allows you to download age-restricted or protected videos as long as you log in to your YouTube account in the Airy menu. Airy is payware and will cost you $19.95 to get a lifetime personal license for one Mac. There are also cheaper plans for multiple Macs so check them out on their website. Tubulator describes itself as a “YouTube browser” because it does work like a browser somehow. A bit like ClipGrab, you can search video in Tubulator, view the channel & check the media details provided on the video page. It can batch download video and convert downloaded videos. It is plugin based, which means you don’t have to update the whole software whenever a service is added or changed. Although the developer promises that there will be more to come, Tubulator supports only 3 video sites currently: YouTube, Vimeo & DailyMotion. Tubulator is payware and will cost you $12.95. It provides a 14-day trial though. You can use it (although a limited version) even when the trial expires. AllYoutubeDownload for Mac is the best free YouTube downloader for Mac because of its simplicity and abundant features. 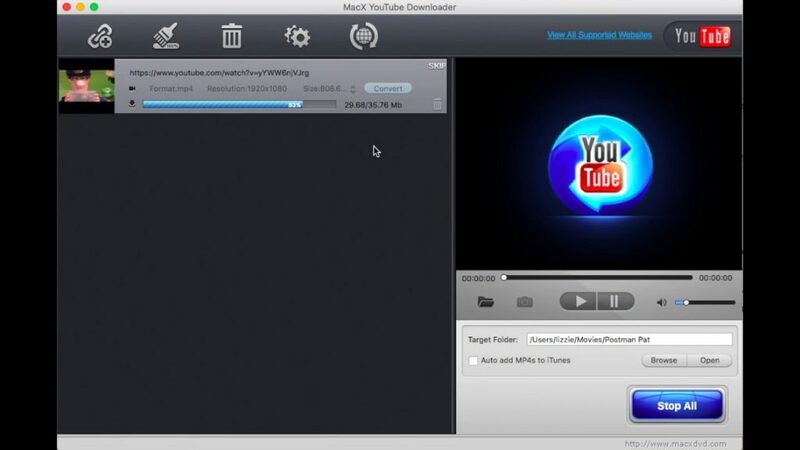 No other Mac YouTube downloader freeware provides as many features as it does. iTubeDownloader for Mac provides the best value for a price of $8.99. What you get is a lifetime license for 10 Macs. It’s effortless to use and provides all you need as a YouTube downloader application.